Debt amounting to 4.8 billion dollars could be aided, according to PA official, by collecting 'tax evasion' from Area C residents. The Palestinian Authority (PA) announced Monday that their total debts had topped a staggering 4.8 billion dollars, and that the current year's budgetary deficit was 1.5 billion dollars, according to PA "Finance Minister" Shukri Bishara. Bishara noted that the deficit amounts to 13% of the PA's GDP and grows by 125 million dollars per month. To combat this, the PA is working on "a strategy" to increase revenues by 550 million dollars annually over the next two years, according to the official. The main task: accruing extra income tax - which, according to Bishara, could mean hundreds of millions to the PA every year based on each percentage point added to the current income tax rate. 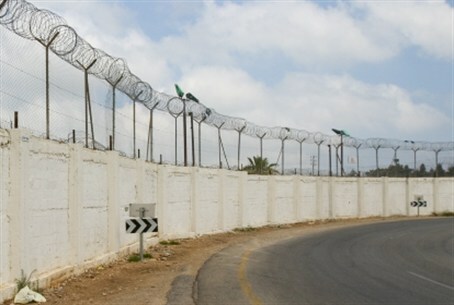 In addition, the official claimed that "tax evasion" from the Jewish areas of Judea and Samaria - Area C, which could be incorporated into a Palestinian state if the US framework for peace is signed by PA Chairman Mahmoud Abbas and Prime Minister Binyamin Netanyahu - amounts to 200 million dollars per year. Bishara concluded that the PA would also be seeking to reduce its imports from Israel to less than 3.3 billion dollars annually, and focus on domestic products. By contrast, the PA only exports roughly 680 million dollars per year in products to Israel. Bishara's announcement surfaces just hours after a group of professors threatened to sue Israel's Electric Company (IEC) over its policy of allowing debts to pile up for PA customers, instead of cutting off their electricity services like they do with indebted Israelis. Electric Company officials have previously stated that they would prefer to cut off electricity to the PA, but that the government has decided against doing so. The company provides power to Hamas-controlled Gaza as well as to PA-controlled areas in Judea and Samaria (Shomron). In addition, the international community pledged $220 million to the PA earlier this month, causing UNRWA to press for millions more in aid money.